Modeselektor - Modeselektor Who Else T-Shirt. Bleep. 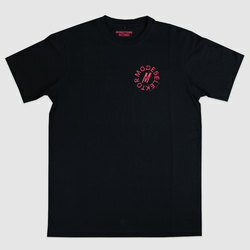 Black 100% cotton tee by Civilist with red Modeselektor artwork prints on the front and back.